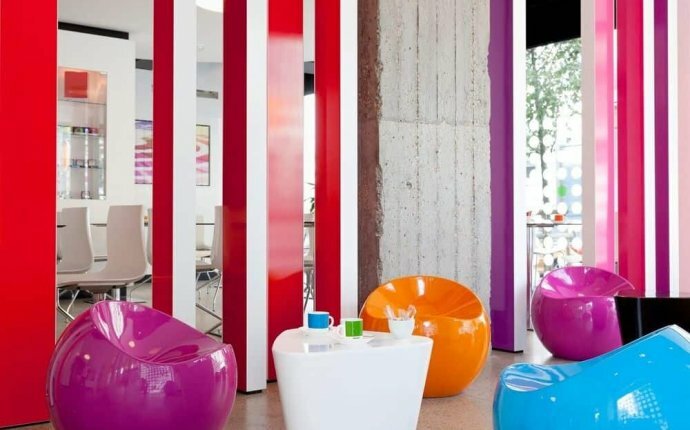 The Pantone Hotel is a beautiful and stylish 3-star hotel ideally located in the city center of Brussels. The Pantone Hotel invites you to experience the city of Brussels through a lens of colour and a spectrum of comforts. From the moment you arrive, the “hotel of colours” will awaken your senses to an array of delights and playful surprises. Impeccably designed by Michel Penneman and Olivier Hannaert, The Pantone Hotel Brussels showcases the colour of emotion with a distinctive hue on each coloured guest floor. Breakfast is served daily at this design hotel and is served in the bright setting of the breakfast room. The property has a 24-hour reception. The Pantone Hotel is ideally located in the city center of Brussels, near the prestigious Avenue Louise, in the heart of the business quarter and lovely boutiques. The nearest underground station (Munthof / Hôtel des Monnaies) is a 5 min walk from the hotel. The Pantone Hotel offers comfortable, stylish, well-furnished bright and spacious rooms. The property offers all modern amenities expected. Luxurious beds, inviting pillows, LCD TVs, and central A/C with individual controls are standard at The Pantone Hotel; many rooms are illuminated with unparalleled views of Brussels. The Hotel offers also large rooms with a large terrace with a 360° view of Brussels. Breakfast not included. Extra-cost: 15 euros per person per day.